I'm in the throws of a major purge and overhaul of my place... 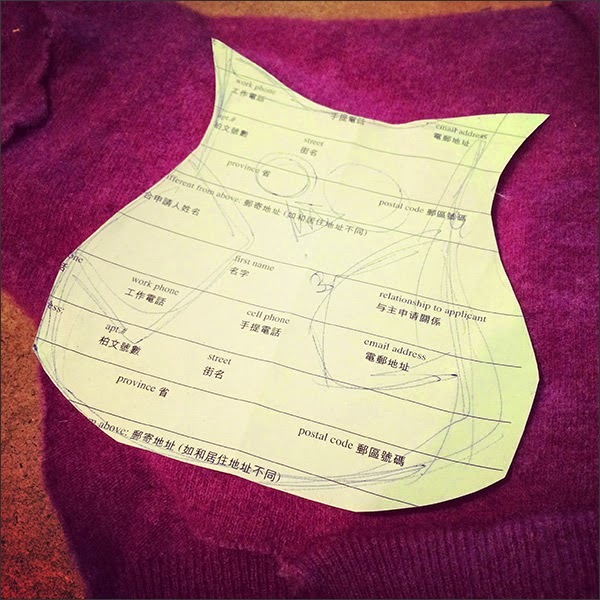 Organizing my crafty stuff, purging and gifting items and generally cleaning up all of my upcycling workshop materials. It's exhausting, fun and taking forever! 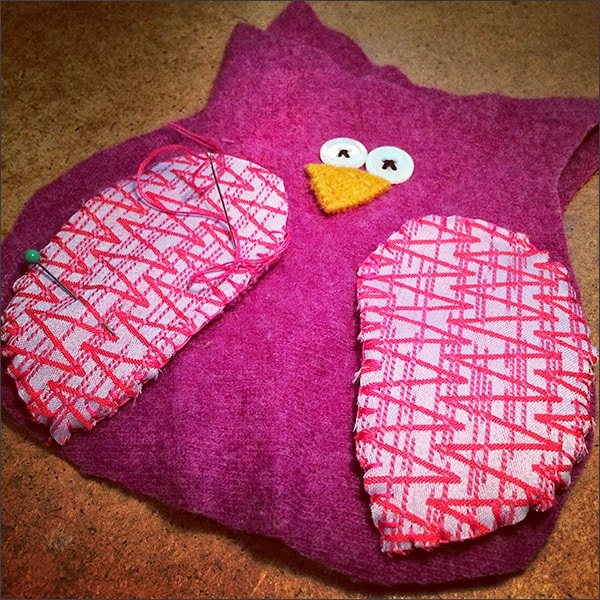 So I took a breather to quickly stitch up an owl using an upcycled wool sweater, junky buttons and funky fabric from a fabric sample book I picked up at the Strathcona Business Improvement Association Resource Exchange. 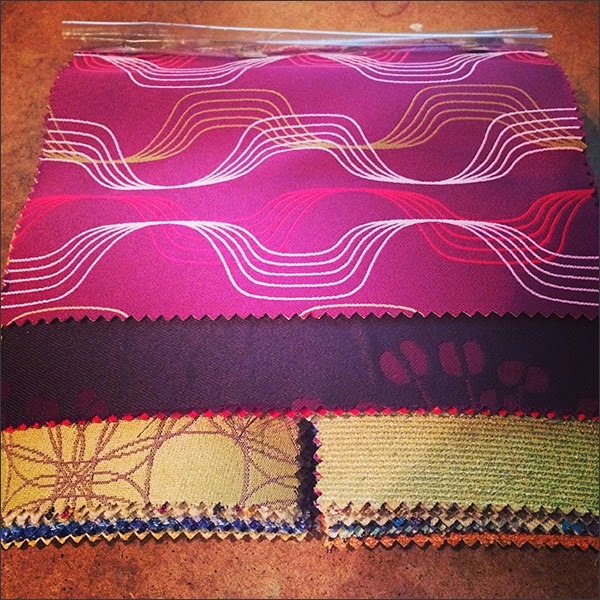 The fabric sample book has tons of kewl fabrics in bright colours, fun designs, etc. 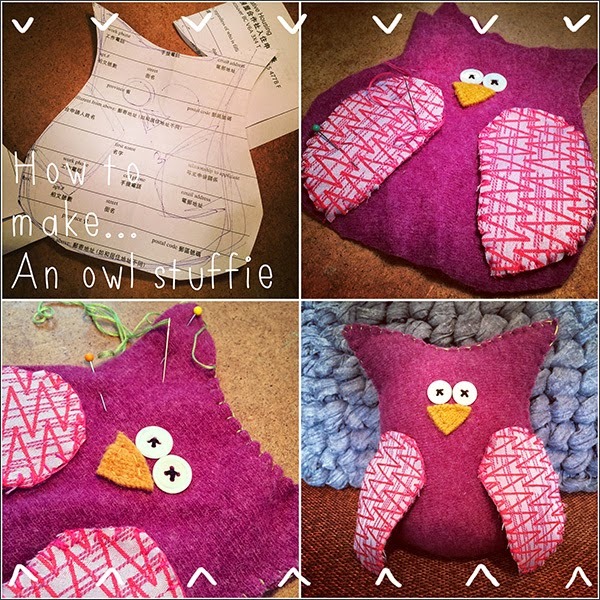 I decided to make a mauve owl and use a patterned fabric for the wings. 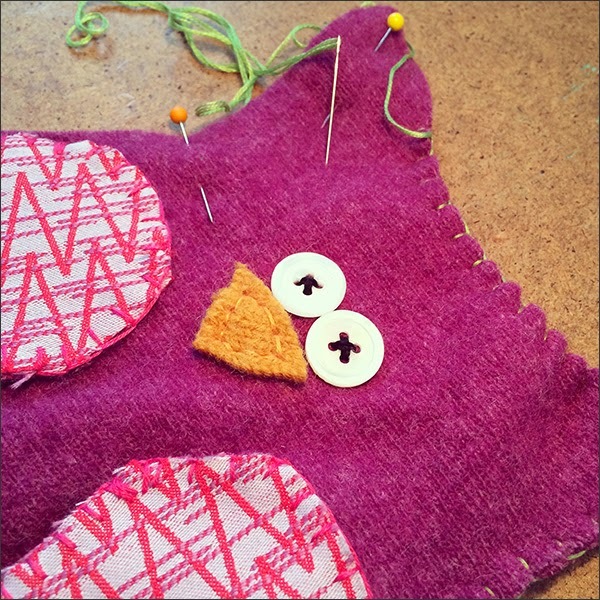 Here's the start of my owl... Cute! And he's done! Easy peasy! Soon I'll post about my purging adventures... I have a few projects I'm giving away - sharing IS caring. 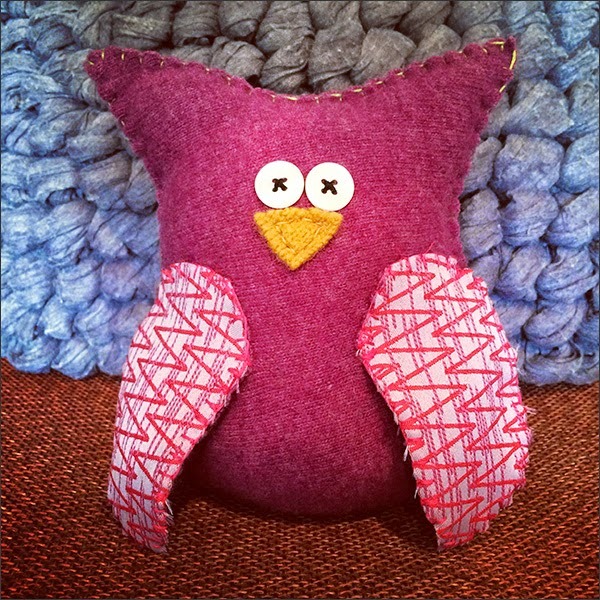 And I'm definitely making more stuffies using the swanky fabrics from the sample book. Score!